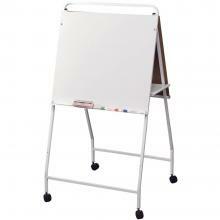 Double Sided rolling easel dry erase board on wheels! This easel dry erase board comes with an accessory tray and two flip chart hooks. 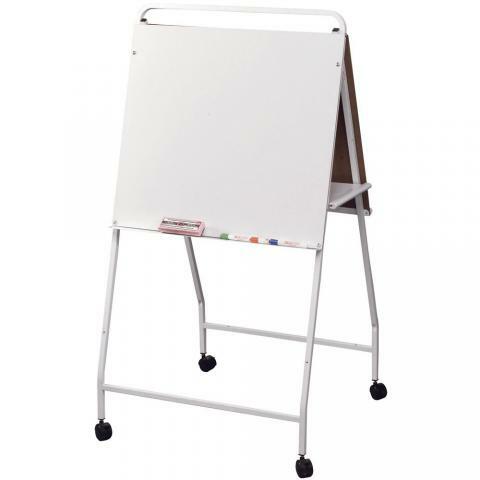 The white powder coated steel easel frame rolls on locking casters and the easel folds away nicely for easy storage. You will love the lightweight design and double sided dry erase boards!